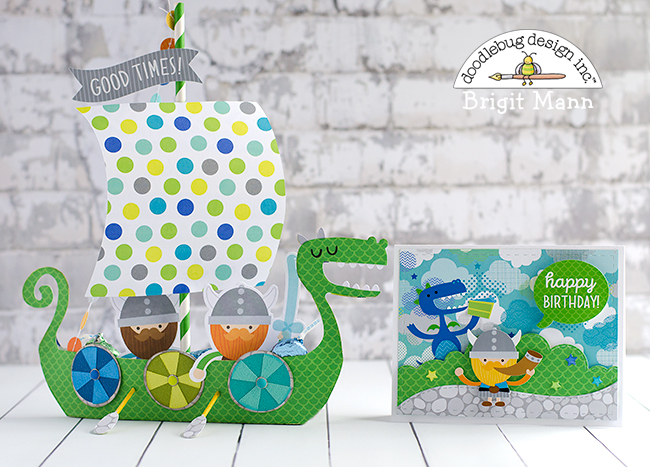 Hello Doodlebug Fans, it's Brigit here today sharing some projects using the Dragon Tails collection. This is definitely one of my favorites, I love all the adorable dragons and the vikings are so cute! My first project is a set that includes a boat which is filled with chocolate kisses and a matching birthday card. I made the base of the boat using the head and tail from one of the Dragon Tails cut files from the silhouette store, you can also purchase these files for your Cricut, ScanNCut or any other machine that accepts svg files from Lori Whitlock's shop here. The sail and shields are also cut files. 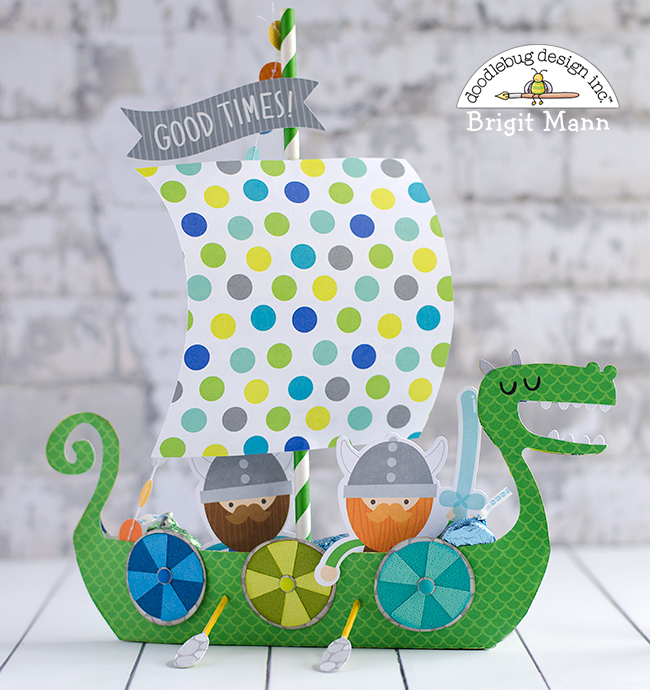 The two vikings are from the odds and ends pack, banner is from the this and that sticker sheet and also the hip hip hooray mini garland. I used toothpicks and a die to created the little oars. 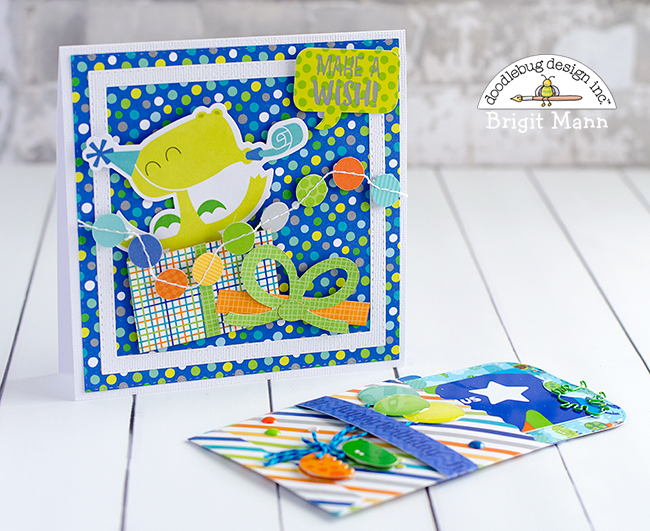 I used some of the icon stickers and a couple of stars from the balloon sprinkles pack on this birthday card. I love the cobblestone paper and those clouds, so awesome! 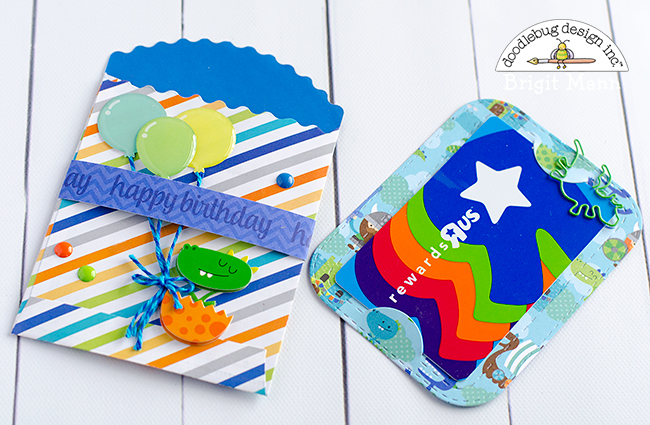 Here's a birthday card and gift card holder set, I really like to make these a lot because I give them out so often. These matching treat bags make the best gift card pouches. I dressed it up with some balloon sprinkles, a mini doodle-pop and boy twine. 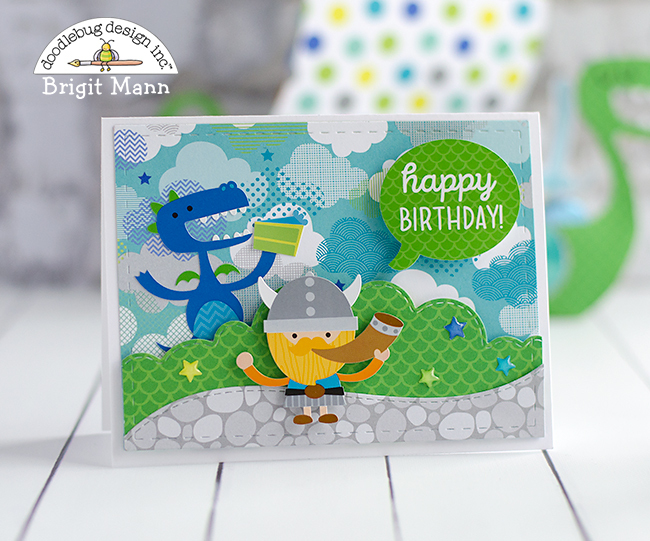 The happy birthday band is from the dragon dots paper, I added the little dragon clip on the gift card slide out. I wanted this dragon from the odds and ends pack jumping out of a box so I cutout one of the present cut files. Also used the mini garland again, I really love this garland! 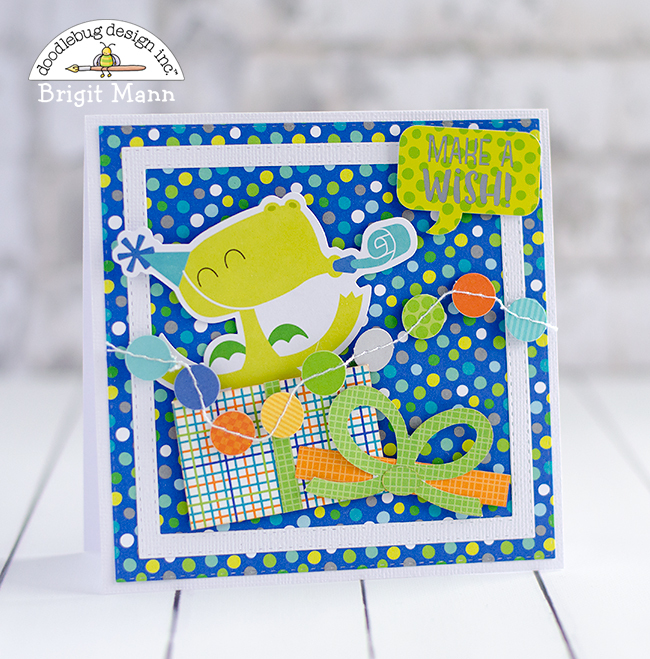 This dragon's breath paper is totally awesome, I had to make a card with it. 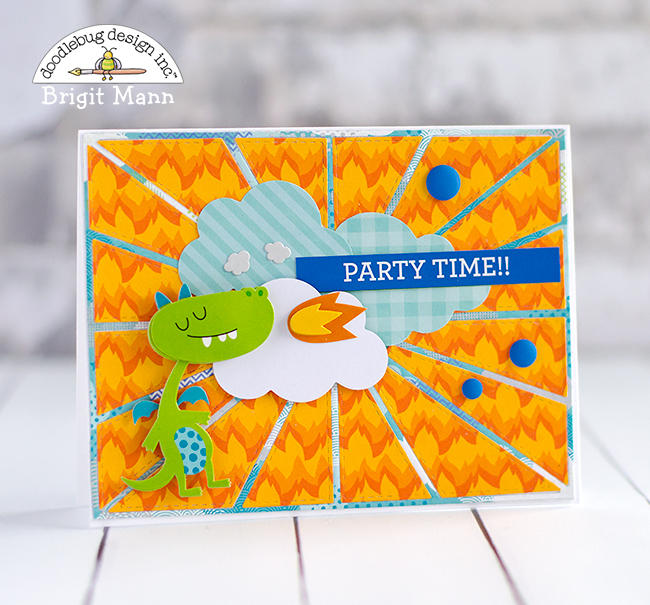 I used this burst die so it would look like the flames from the doodle-pops dragon was filling up the sky, just added a couple of the clouds from the odds and ends pack in the center. Party time is from the this and that stickers and I used some of the matte birthday boy sprinkles. Everything about this set is fabulous!!! That ship, just amazing!